As expected due to the closing of Adgitize, they already sent a refund to my paypal account. It was a portion of the fund that I have not consume for advertising because they already closed last December 31,2011. They are really fair and honest website. I still remember when I started as a publisher then became an advertiser. Through adgitize, I was able to explore the blogosphere in times whenI was so newbie and innocent. Through this Adgitize network, I have learned a lot from fellow bloggers who voluntarily shared their experiences in blogging and life’s lesson from the personal blogs. I hope there will be other systems like Adgitize which is simple, fair, honest and most importantly friendly to all. Thank you so much Adgitize! And I wish that the administrators of Adgitize may find good luck and more blessings. A few hours ago I received an email from Ken Brown (the founder and owner of Adgitize) with a subject “Adgitize to Close”. I was surprise and sadly it is true. I have been a member of Adgitize since last year and I was happy to knew a lot of bloggers through the adgitize network ADS. I can still remember my first proof of payment from Adgitize that I posted here and a couple of payments followed every month. Beginning on December 27th, 2011, you will not be able to open any new accounts. – Ability to create or renew any ads will be shut down. On January 1st, 2012, Adgitize will officially stop showing ads and all member publishers will NOT receive revenue for any Adgitize Ads shown. If you had an ad running with them they will refund a prorated portion of your ad price. Payouts for publishers and affiliates for the month of December will run on the normal schedule and should be complete by January 10th, 2012. Except for those requesting checks which won’t be processed until January 12th, 2012. Expect all services and websites to be taken out of service by January 31st, 2012. If you have not given Adgitize a proper payment method to send your earnings by that date then there will be no way to make payment to you and you will forfeit those earnings. Adgitize members will stop receiving points and revenues from them after December 31, 2011 so it only means that members should remove all Adgitize Ad Groups from all blogs before or after the said date. You can still communicate with Adgitize over the next 31 days through the Adgitize contact us link, the forum or the blog comment section. They will be monitoring each of those communication methods until the web site is shut down. I have been posting all my extra earnings online here for my make money journal. 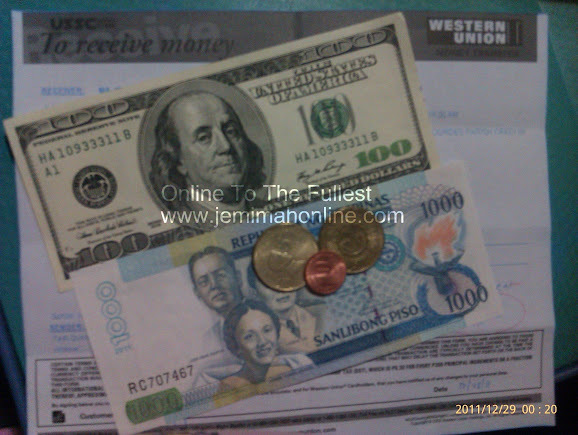 Last March 11, 2011 I received my sixth payment from blogvertise which cost $10.00 for my other blog. It was sent directly to my paypal account. I have noticed that there are only a few opportunities that were assigned in my blog. Sometimes I only received one opportunity but still I am thankful that I have received blessing. I hope there will be more blessings to come. Anyway, I enjoy blogging as my extra activities online and I am happy to meet my online friends especially mommy bloggers. I received my 7th payment from Adgitize today for the month of February which cost $13.70. Today I also decided to advertise my other site with adgitize because it really contributes good traffic in my blog. The payment that I earned from Adgitize is the amount that I also used to advertise with them. It is just like I am advertising my site for free. Today I received my sixth payment from adgitize as an advertiser and publisher for January 2011 in my paypal account. The amount is $13.39 and I will be using this fund to advertise again with my blog.